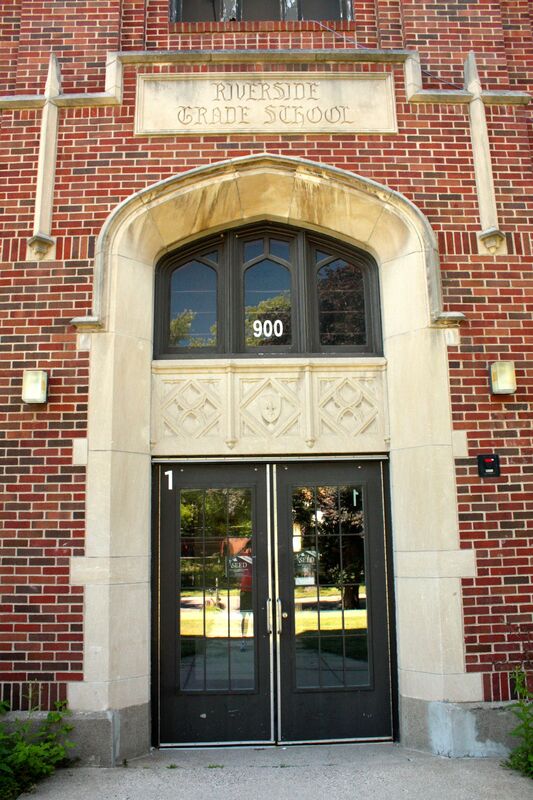 Randolph Heights Elementary School on Hamline Avenue in Macalester-Groveland. This stunning fresco is above the main entrance to Randolph Heights Elementary School. The boy, sitting on books, is thinking, or daydreaming. Meanwhile, the girl does some needlepoint. The frescoes above the front entrance are the second striking decorative element. The young man sitting atop books with another in his hand while the young woman rests upon a bench with her needlework is a great reflection of gender roles 100 years ago. Another atypical aspect of the original design of Randolph Heights is the swimming pool, long since covered, with the space used for other purposes. Another angle of the front of Randolph Heights. Randolph Heights Elementary School cost $101,356 and some change to build, a premium price for a school with eight classrooms and 320 students. 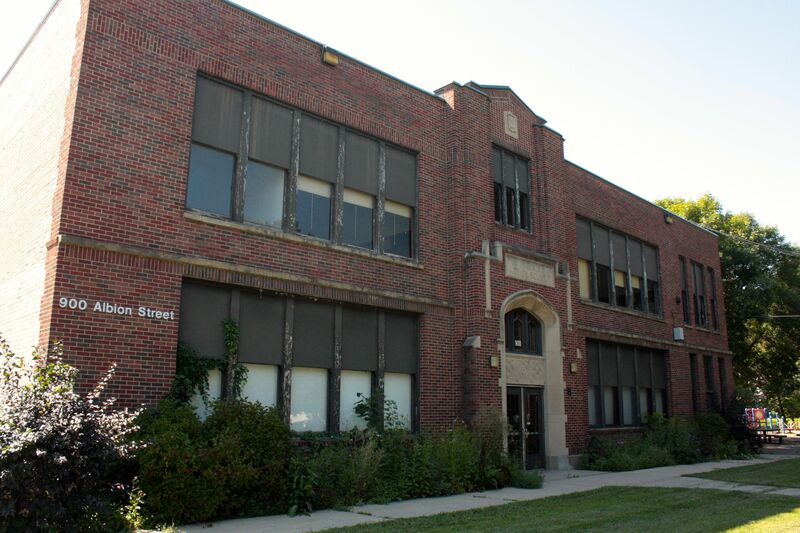 (By my figures, construction of the Randolph Heights classrooms averaged more than $12,600.) The May 1917 edition of the publication “School Education” strongly criticized Saint Paul school officials for their spending. Randolph Heights Elementary School in 1925. 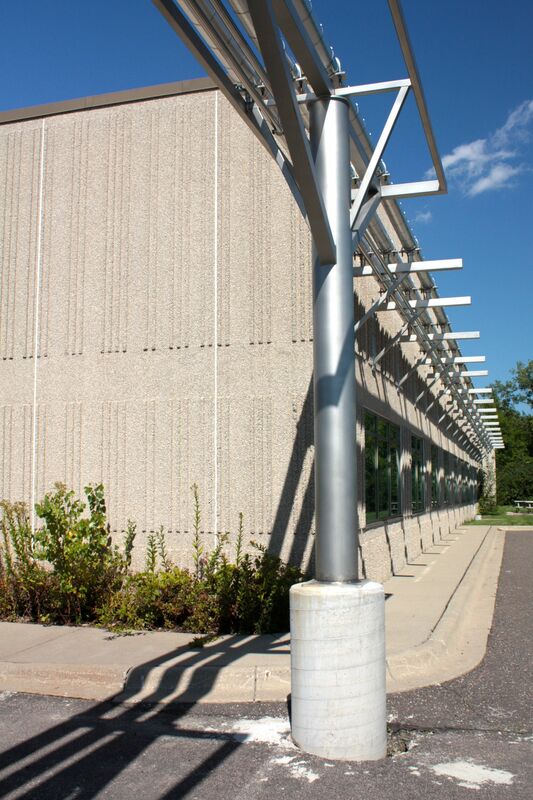 Photo courtesy Minnesota Historical Society. On the other hand, the one-story design selected by Randolph Heights architects and the school district started a new trend. From Randolph Heights Elementary I went east to Lexington Avenue. Though tempting, I didn’t take full advantage of the long downhill slope from Jefferson all the way to the intersection of Lexington, Montreal and West 7th. Rather, I weaved in and out among some of the streets between Lexington and east to 35E. At Otto and Alaska I spotted this interesting design in the concrete steps. The wall resembles the marshmallows from Lucky Charms. 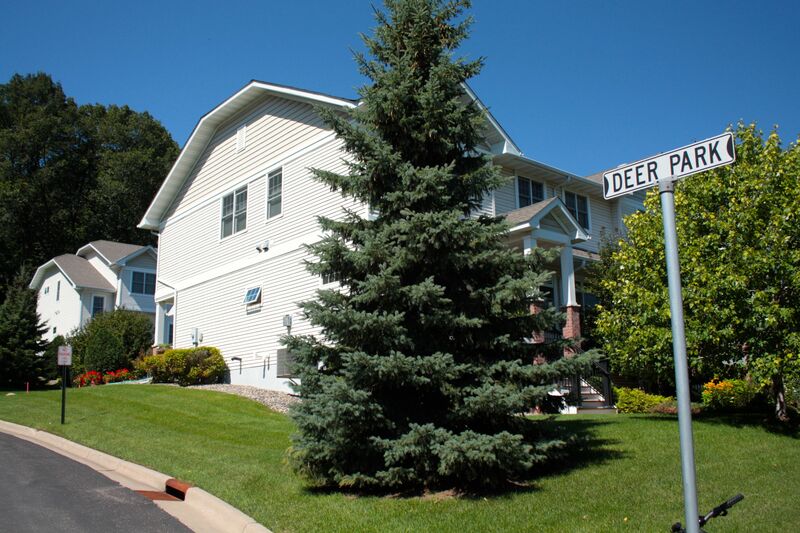 Next, back to Lexington and to a relatively new development of townhomes called Deer Park. Public streets in Saint Paul feature green and white signs. The black and white Deer Park sign indicates it is a private road. The 11 townhomes here were built in 2003. The hidden park lies on the other side of this fence. 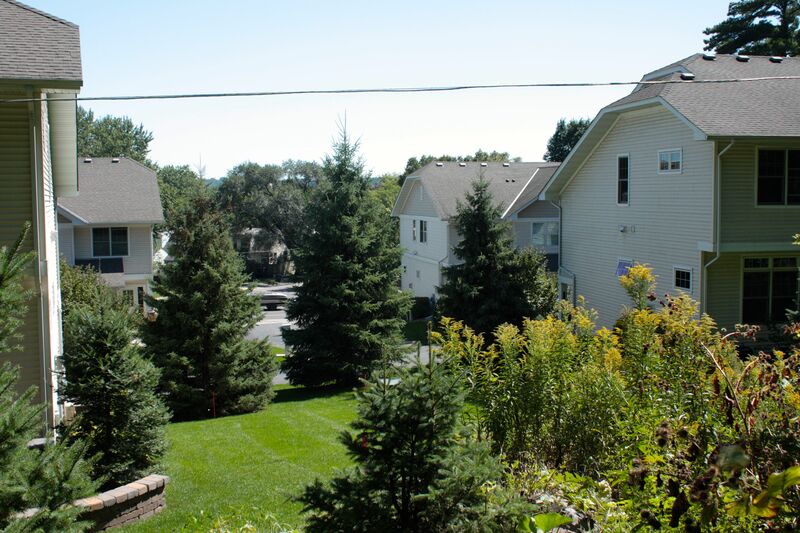 Now standing at the edge of Dawson Park looking back toward Lexington, you can see four of the Deer Park townhomes. I cut across the lawn of the townhouse on the left to get to the park. 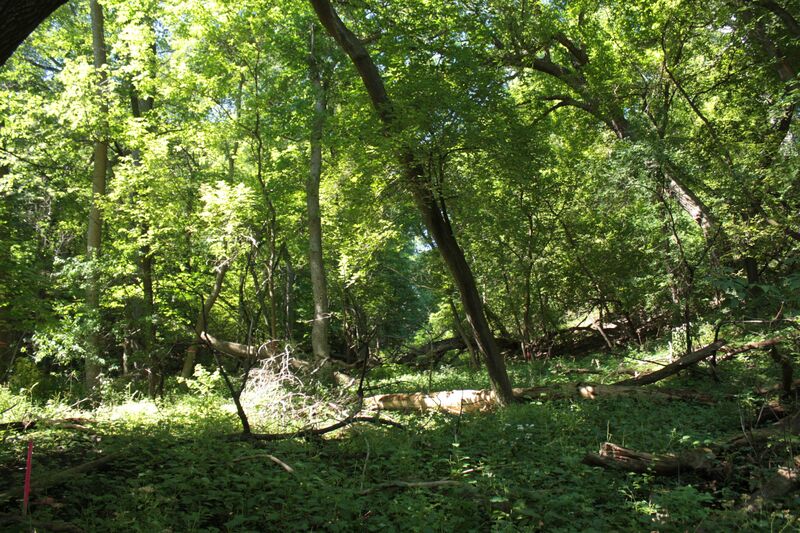 There are some lightly traveled paths through the woods but the brush is frequently thick and the mosquitoes even thicker. A short distance beyond the line of trees, the terrain suddenly climbs steeply up a bluff toward Edgcumbe Road and Place. Swarming mosquitoes and the bike shoes I wore dissuaded me from attempting to scale the incline, but I’ll be back. 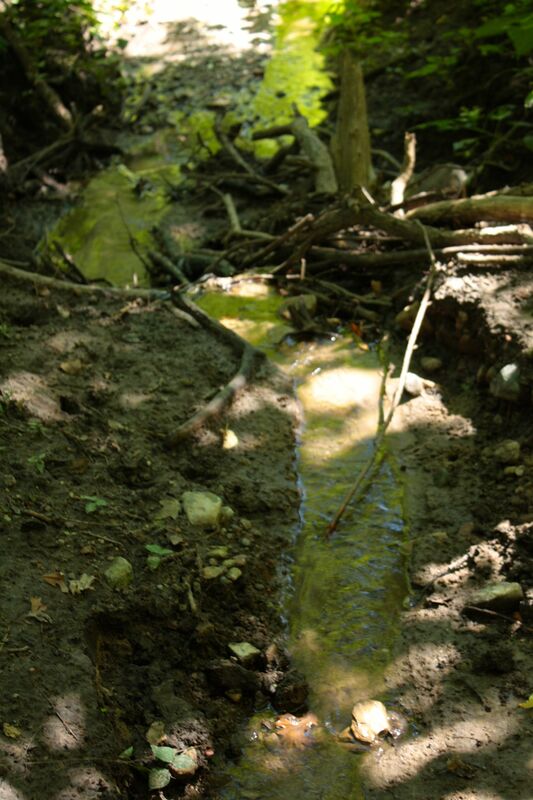 One of the many small springs that meander above ground through Highland Park (the neighborhood). 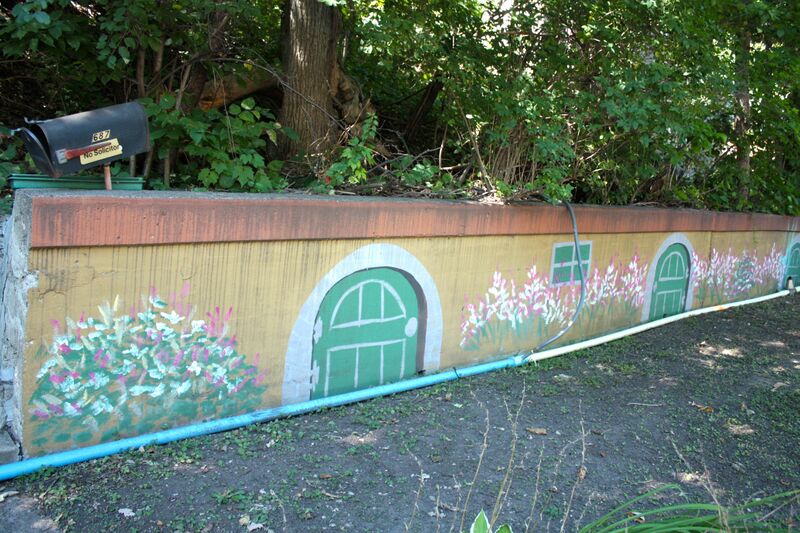 Many of the steams here and elsewhere in Saint Paul were diverted into the storm sewer system years ago. Walsh Park is another hidden park just south of Dawson, according to the Parks Department maps and website, but I have yet to search for it. 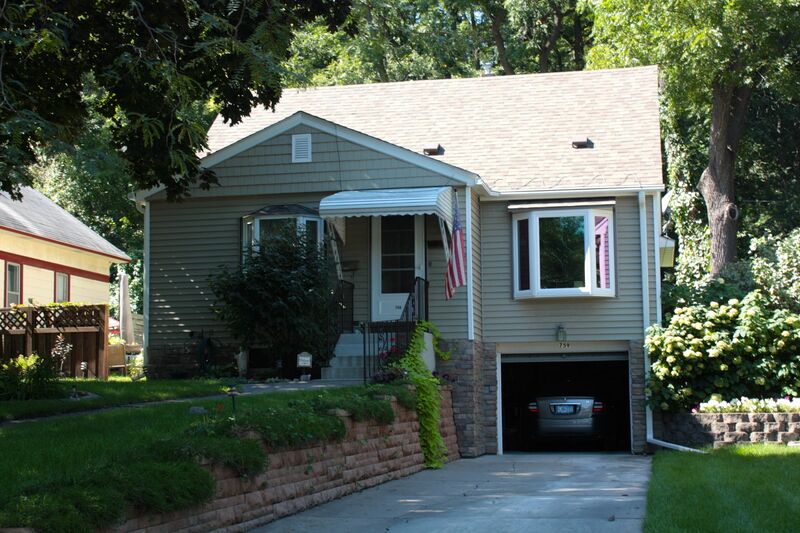 759 Lexington Parkway South has been Carol Sturgeleski’s home since 1963. Back on the bike and moving north up the Lexington Hill, I stopped to talk with a woman on the sidewalk. Carol Sturgeleski told me she’s lived in Saint Paul her entire life and here at 759 Lexington, for 51 years. 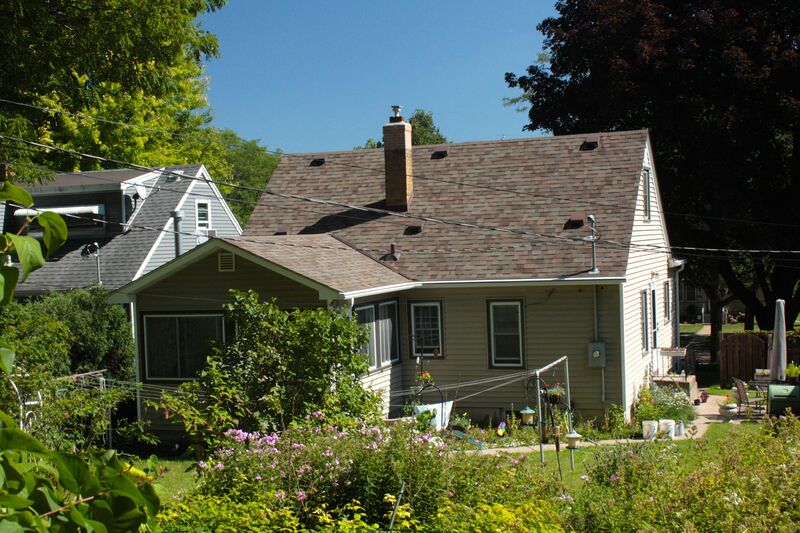 The way Carol and her husband, Bernie, found this home where they raised six children, is a story of coincidences. Her brother was selling his house in Eagan. The owner of 759 Lexington bought it. Carol and Bernie learned about 759 Lexington’s availability from her brother and they bought it. 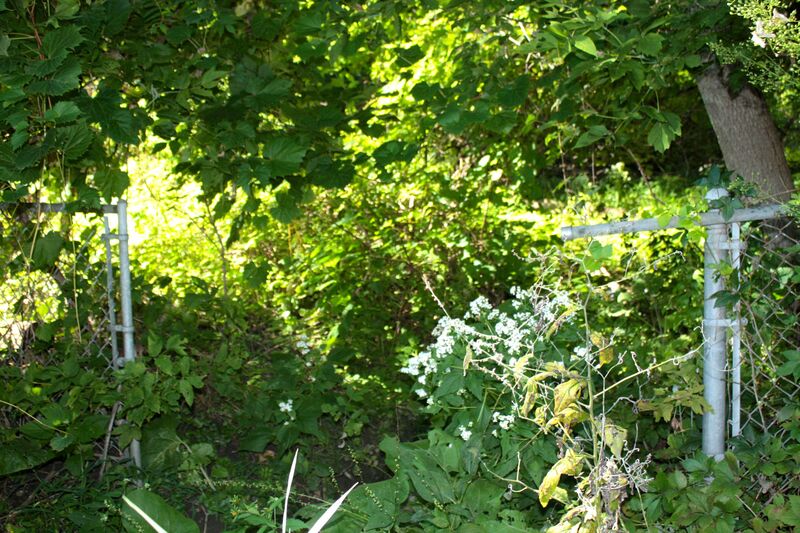 Carol Sturgeleski stands in her back yard amongst the flowers and bird feeders. Carol’s back yard as seen from the edge of her property. 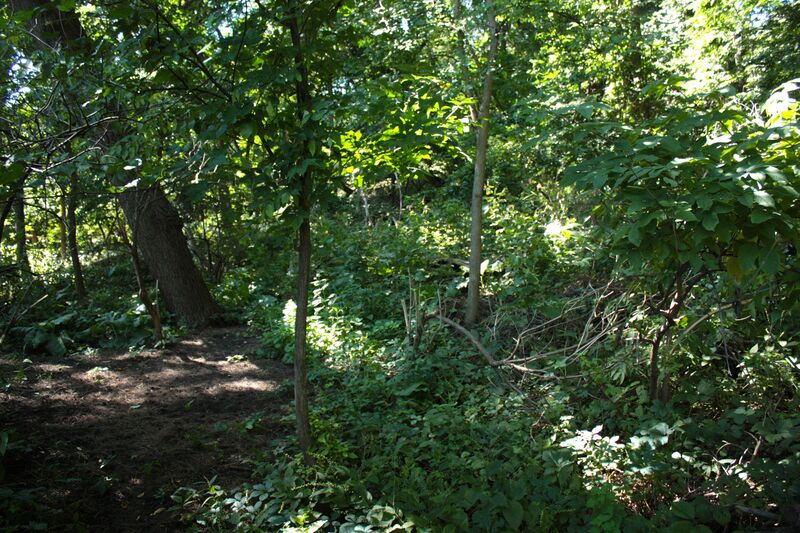 Carol’s children enjoyed playing on the hill and woods, especially in winter. “When the kids were little they would slide down the hill. It was more open then. I’ll never forget when the second son came down and hit one of the trees. The kids brought him in the house and they brought him in the bathroom. All of a sudden he just collapsed, passed out.” Carol added that her son came to quickly. She also told me she wasn’t very worried because he had teeth knocked out playing hockey. Today the woods behind Carol’s house are choked with brush but when her children were young, they sledded down the hill on the right. 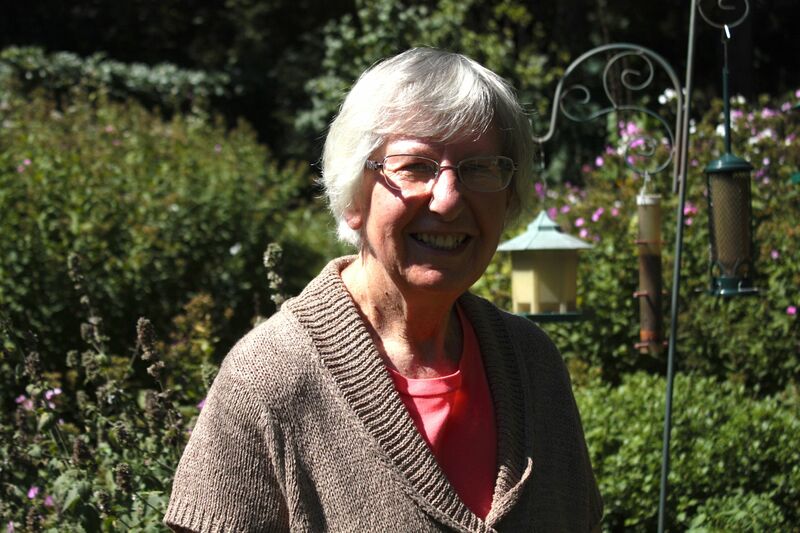 After 51 years, Carol still loves where she lives. “In the middle of the city, it’s beautiful, but there’s a lot of work with this yard.” Fortunately, one of Carol’s sons now cuts the lawn for her and she’s contemplating hiring someone to do some of the other jobs. Just up the block, the home at 687 Lexington Parkway is obscured by a thick growth of bushes and trees but there is no missing it because of two landmarks in front. The retaining wall in front of 687 Lex is cheerfully painted, giving the impression of perpetual spring. Today’s second school visit is Riverside Elementary, mostly unchanged from when it was built in the 1920s. Apparently it is unoccupied or lightly used. The Albion Street entrance to Riverside. On the side of the building a metal stairway added as an emergency exit allowed me to peek into the second floor of Riverside. 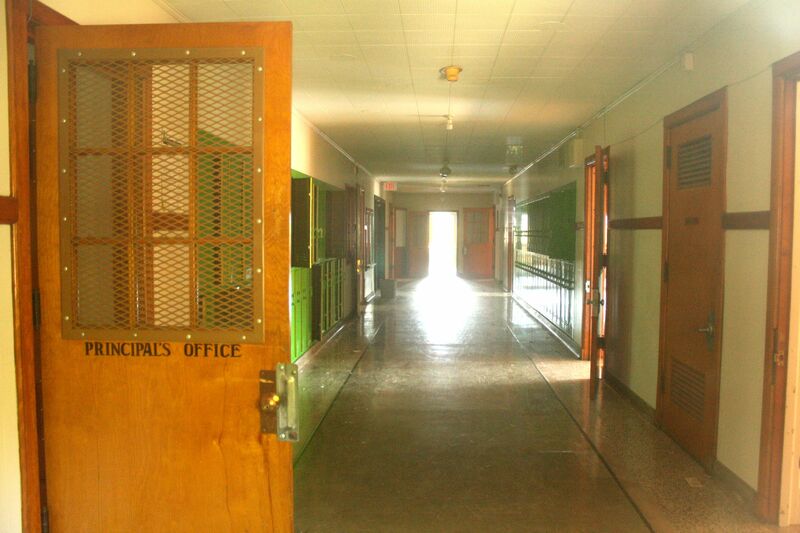 The old, perhaps original, principal’s office door, is a nice artifact. You’ll see this sign when you travel on West 7th Street. Crosby Lake Business Center is a brownfield turned industrial park just south of West 7th Street in the West End. 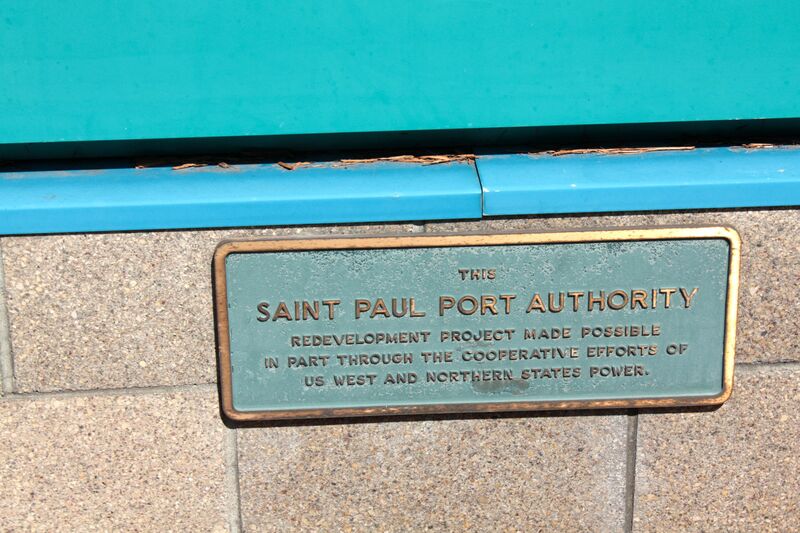 According to Saint Paul Port Authority figures, up to 400 jobs have been created by the companies that built on the 26-acre site. 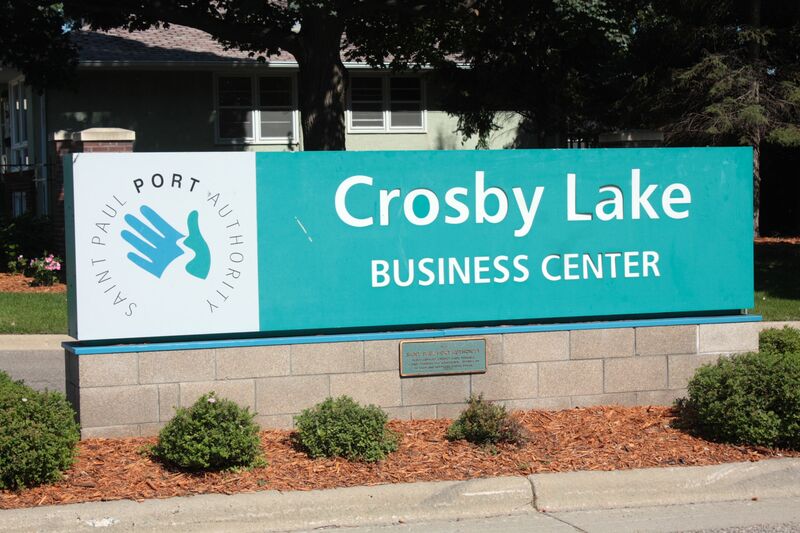 It’s ironic that both companies credited with assisting the Port Authority with the Crosby Lake Business Center no longer exist. 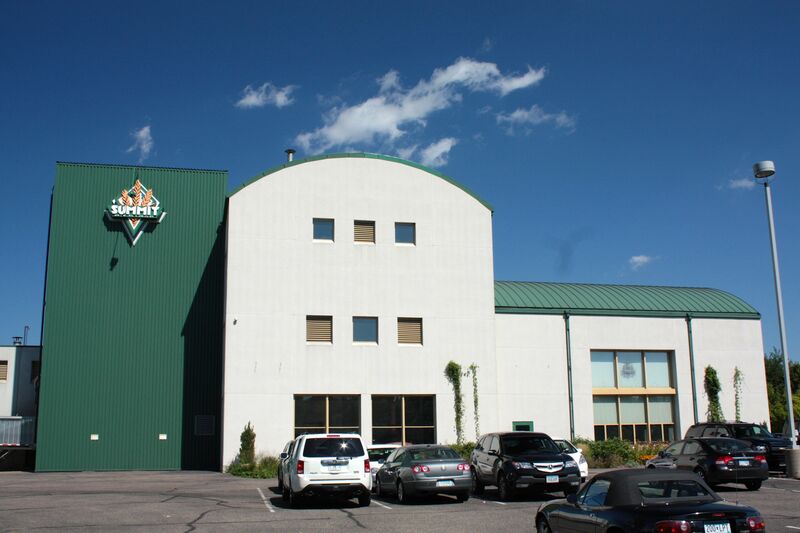 Crosby Lake Business Center is nearly filled with businesses including a bakery, brewery, publisher, mechanical subcontractor and a manufacturer of labels and guest checks for the food service industry. 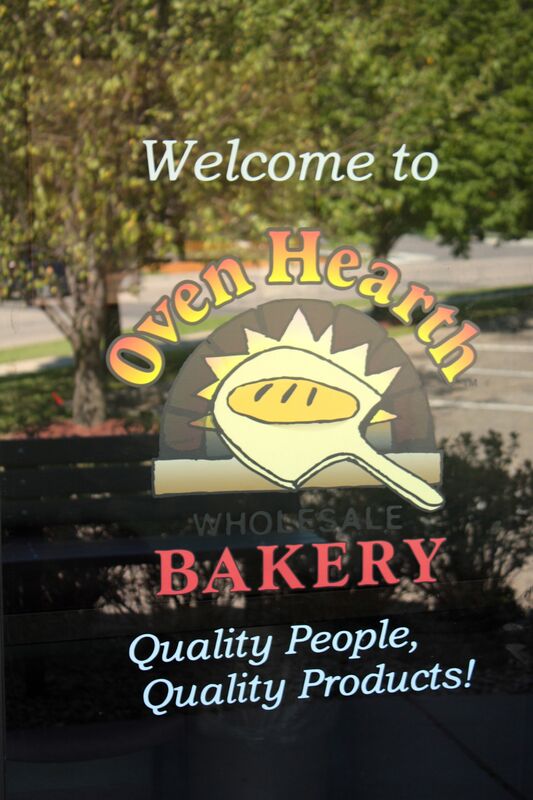 Oven Hearth Bakery whips up wholesale breads and desserts. When the ovens are on, the smell will make you hungry. 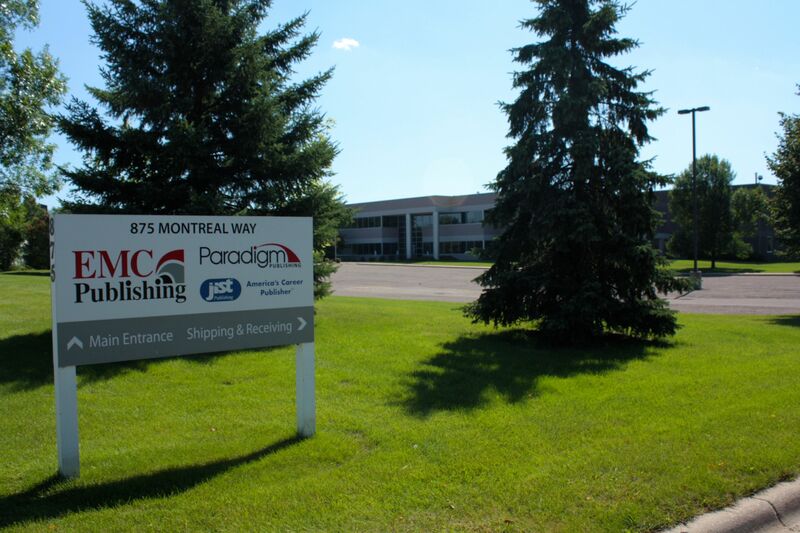 EMC, Paradigm and JIST produce text books and related multimedia materials. Specifically, EMC publishes K through 12th grade text books in four subject areas; Paradigm publishes post-secondary text books about technology and science, and JIST publishes career assistance materials. 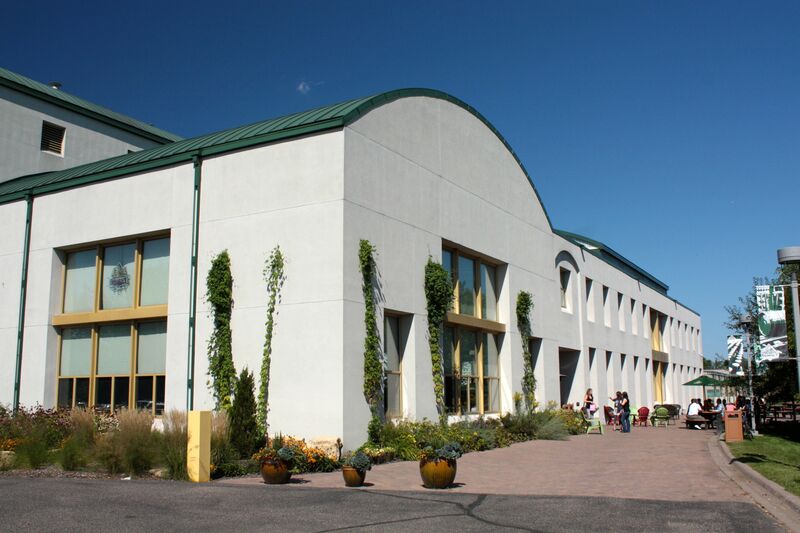 Summit Brewing’s main building, which can emit another great smell. 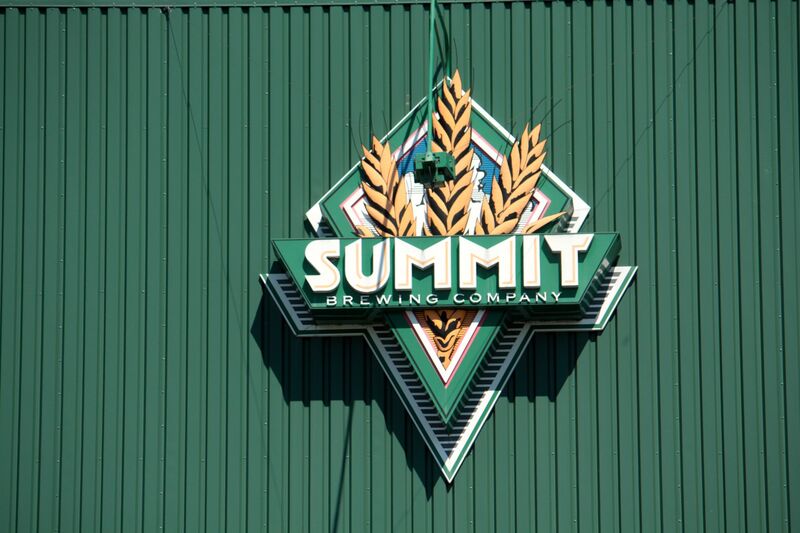 The large Summit logo on the side of the brewery. The entrance and beer garden both sit on the side of the brewery opposite Montreal Way. 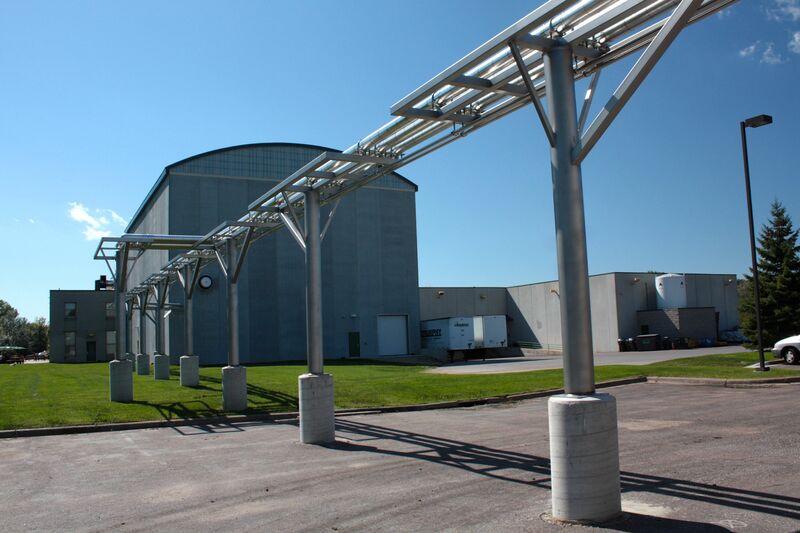 …to the recently completed canning facility. Thanks to the pioneering effort of Summit Brewing, new craft breweries now pop up like dandelions in spring. There are close to a dozen microbreweries in Saint Paul, not including brew pubs. The Crosby Lake Business Center has been great for Saint Paul’s economy, but some creativity with street names would have made the development less confusing. 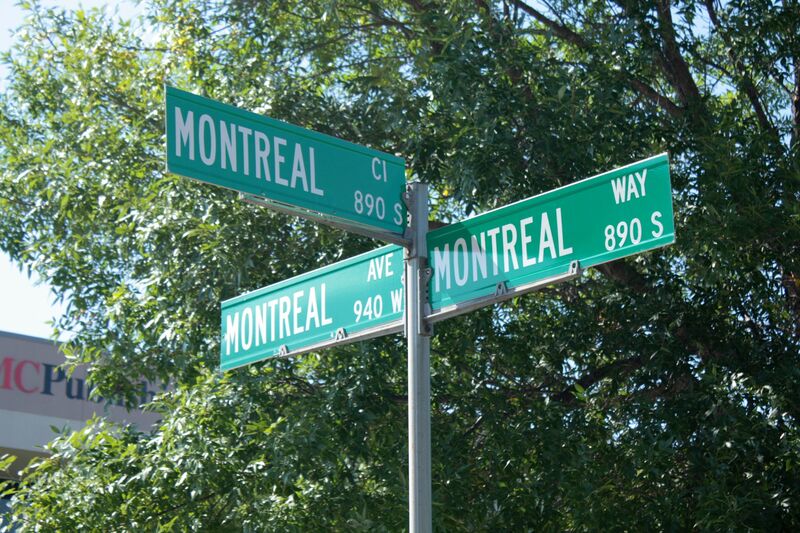 Yes, all the streets in the Crosby Lake development are named Montreal but to confuse matters more, two different streets have the same address number. Instead, why not a Vancouver, Halifax, Saskatoon or Moose Jaw? 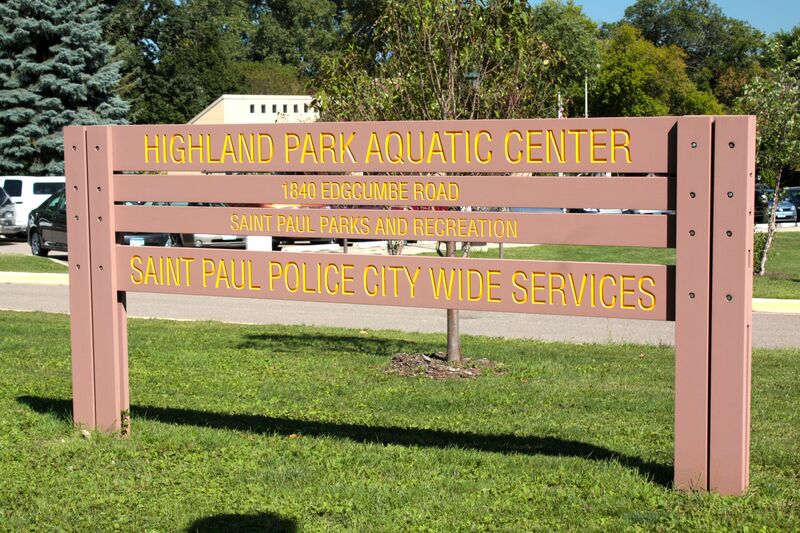 Back in Highland, just south of Edgcumbe at Montreal Avenue, coincidentally, are two City buildings; the Highland Park Aquatic Center and SPPD Western District headquarters. 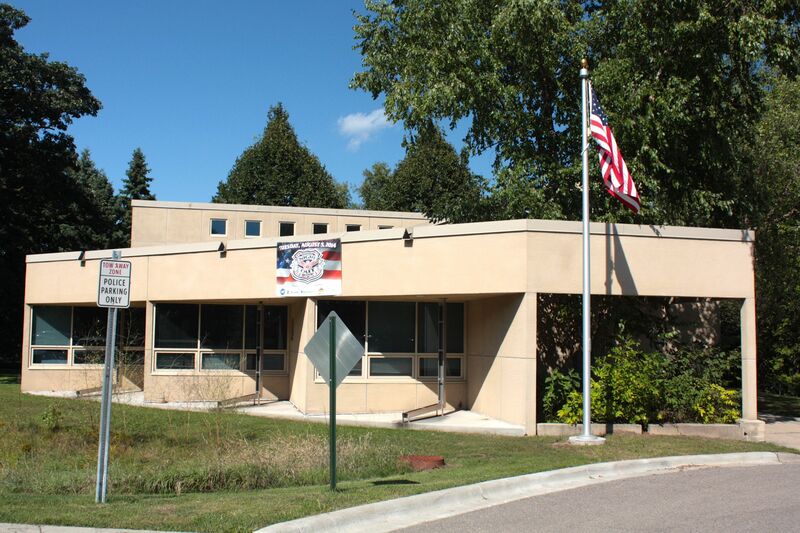 The police department’s Western District headquarters on Otto Hummer Drive. 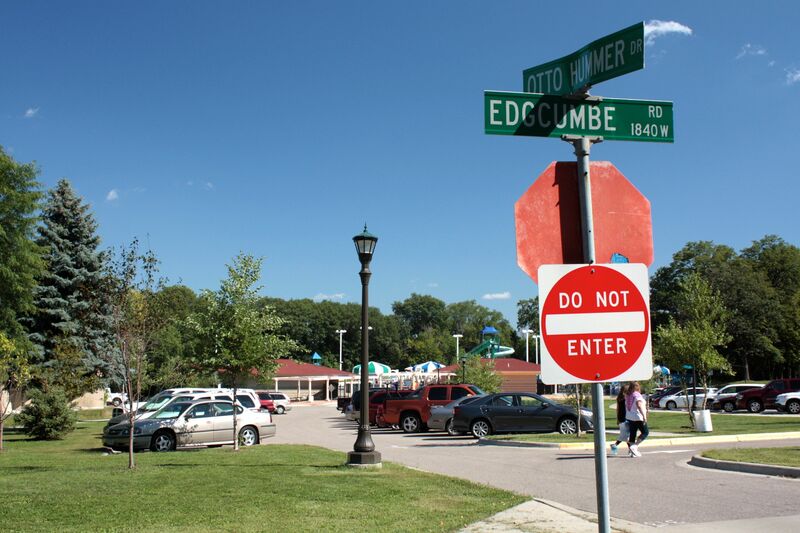 Highland Park Aquatic Center sits on Otto Hummer Drive, a street that looks like a parking lot. 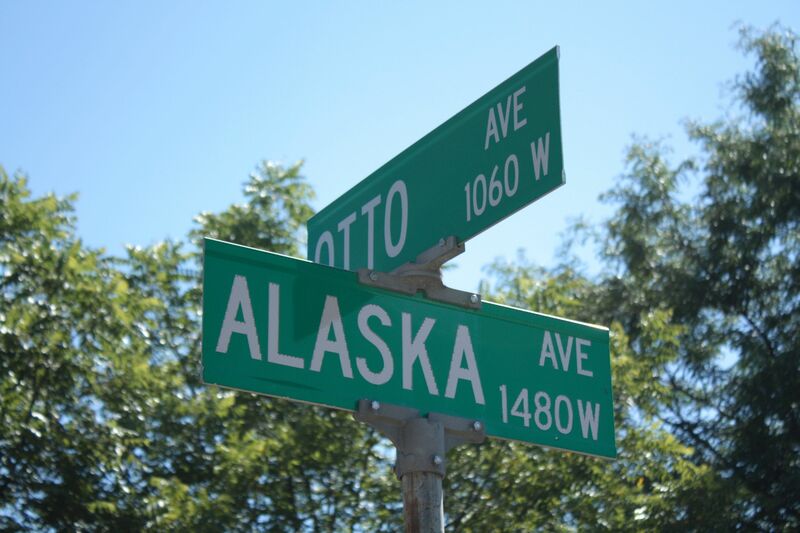 Otto Hummer posthumously received the honor of this street being named for him because he volunteered for many City committees and for about a decade with the Highland Business Association. 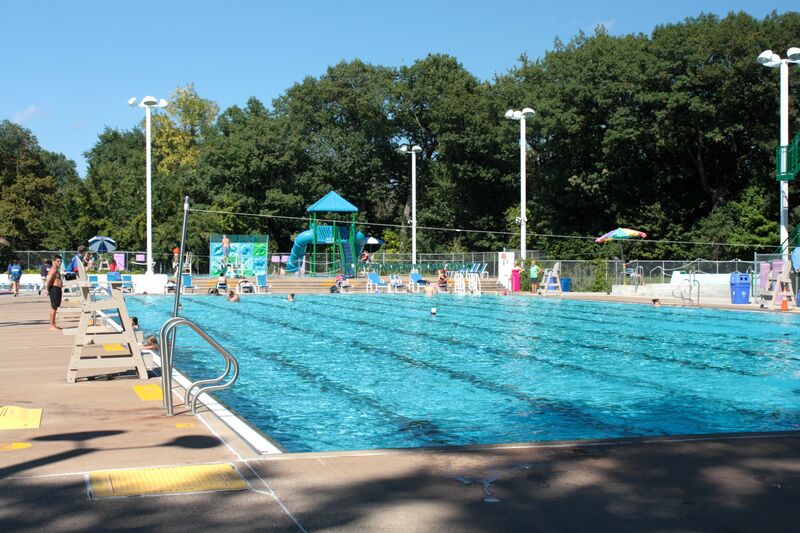 (8) It’s very unusual to see the Highland Park Aquatic Center parking lot busy in September but the unseasonably warm weather convinced City officials to keep the pool open more than a week beyond its usual closing date. Although not very busy, a few folks are stretching the swimming season out as far as possible. 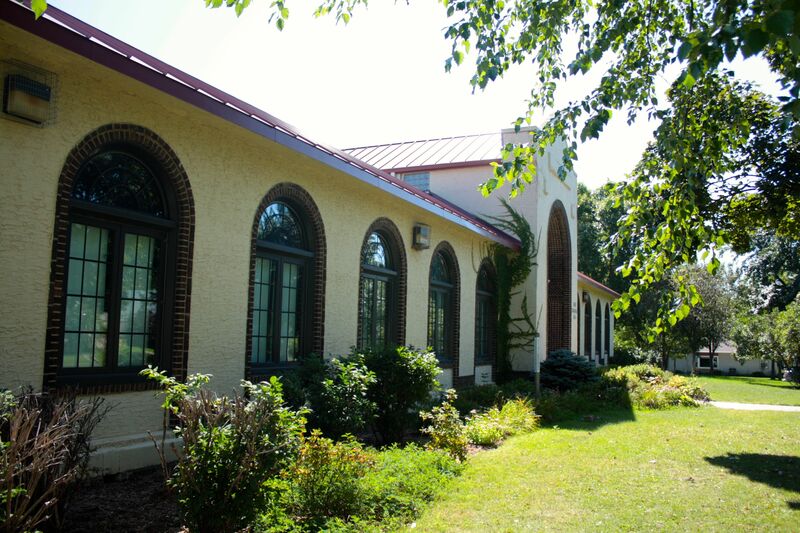 This aquatic center opened in August 1979 as the Highland Park Pool and has since been remodeled. It is Highland’s second or third pool, depending on your perspective. 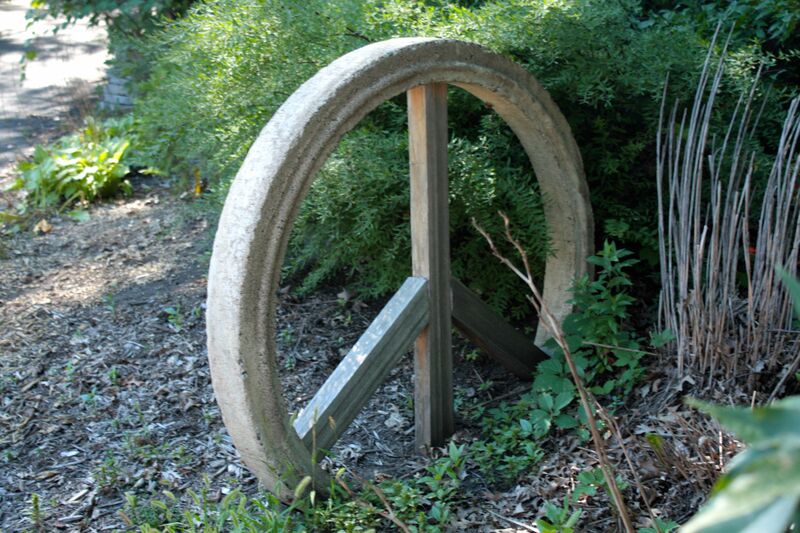 The original Highland Park Pool is long gone, but significant artifacts remain just north of the aquatic center, across Montreal Avenue at Edgcumbe, Most windows are covered in peeling plywood and the ones that aren’t have been smashed out. 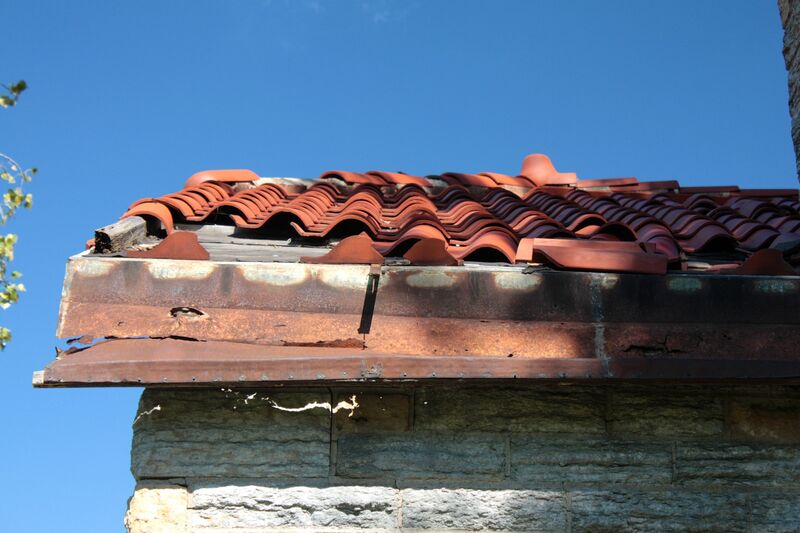 Sections of the Spanish-style terracotta roof tiles have fallen, exposing holes in the plywood deck and vegetation grows out of the building. 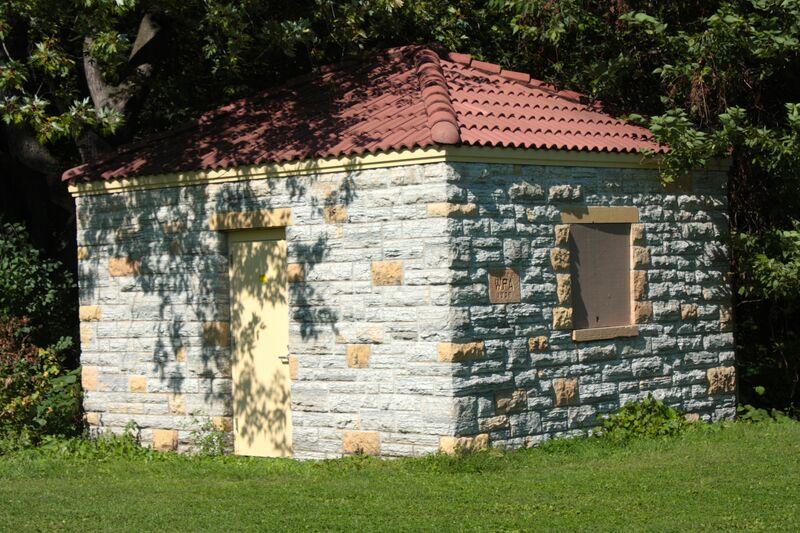 The allure of the stone structure is obvious, despite the long list of indignities it’s suffered in the decades since closing. 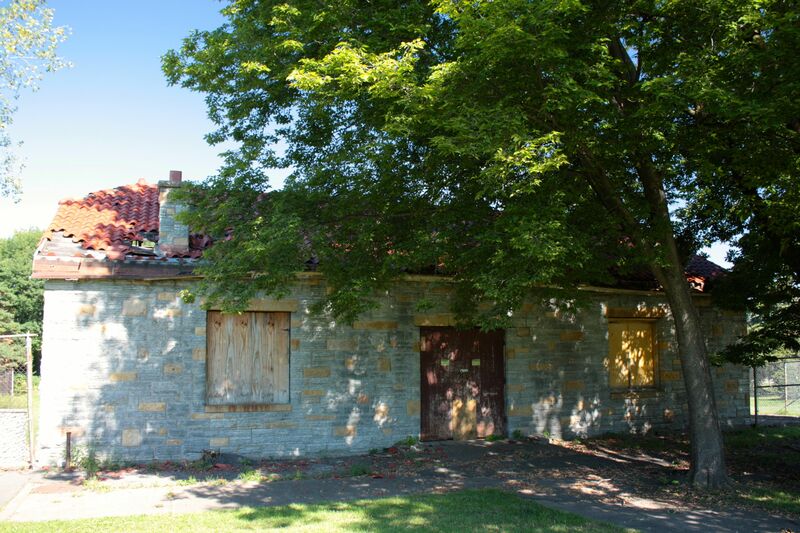 The old Highland Park Pool bath house is in desperate need of renovation. This is what the original Highland Park Pool looked like in 1935. The building in the background is the golf clubhouse, which still stands. Courtesy Minnesota Historical Society. In less than two years the Highland Park Pool underwent quite a change. June 1937 photo Courtesy Minnesota Historical Society. 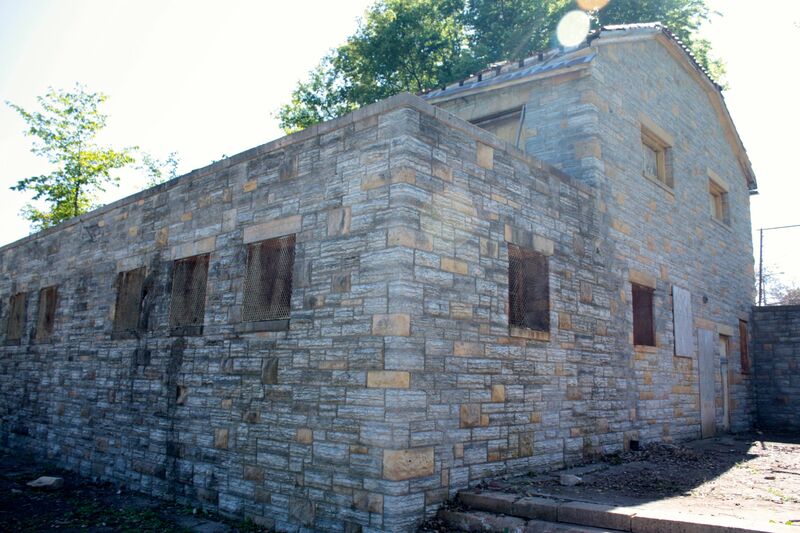 The original Highland pool bath house, a Works Progress Administration project, remains, albeit in disrepair. 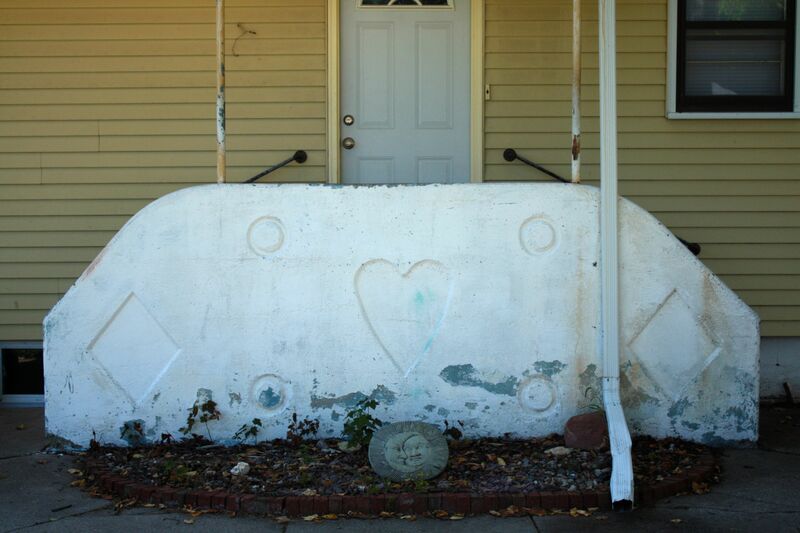 Windows and the doors of the bath house are covered in plywood to keep man, beast and Minnesota’s weather out. You can see the subroof and missing clay tiles. The back or pool side of the bath house. The pool was situated about where the grass is on the right. The round stone structure in the middle of the picture held a large tree. In 1962 a good sized tree grew in the middle of the stone planter. St. Paul Pioneer Press Dispatch photo courtesy of the Minnesota Historical Society. 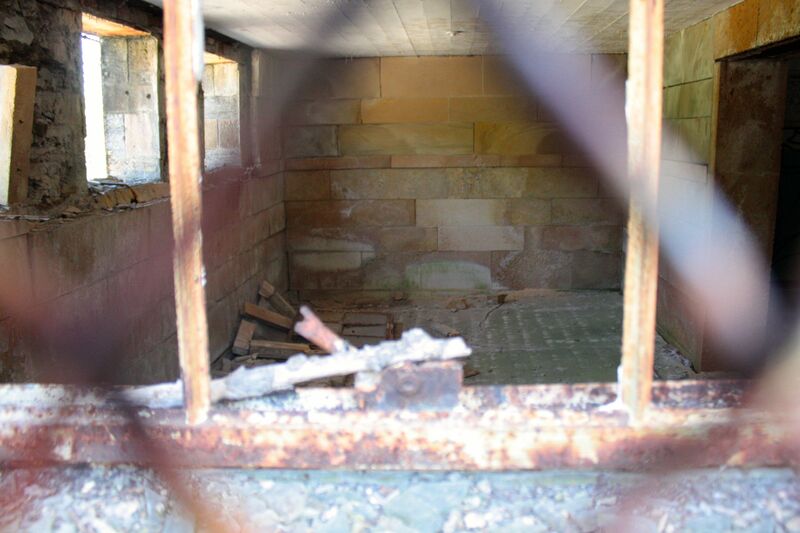 What may have been a locker or shower room. To get this shot I had to climb the stone wall and put my camera above my head and shoot through a fence. An out building that is part of the pool facility. 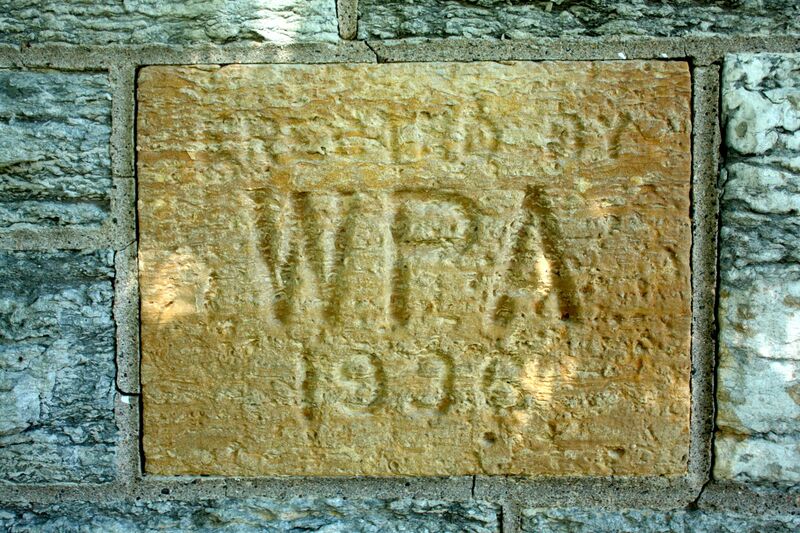 It, too, was built by WPA workers in 1936. It’s held less interest to explorers and vandals. 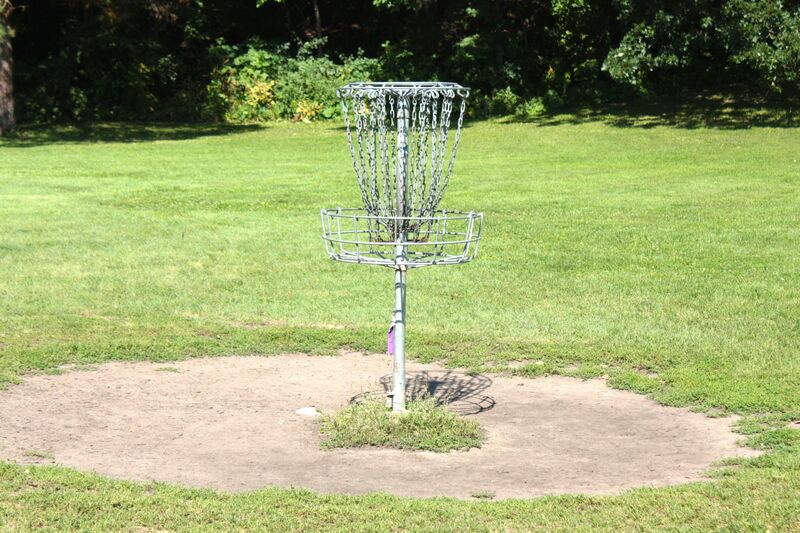 Today about the only activity around the grounds of the old pool is Frisbee golf and the occasional hiker. 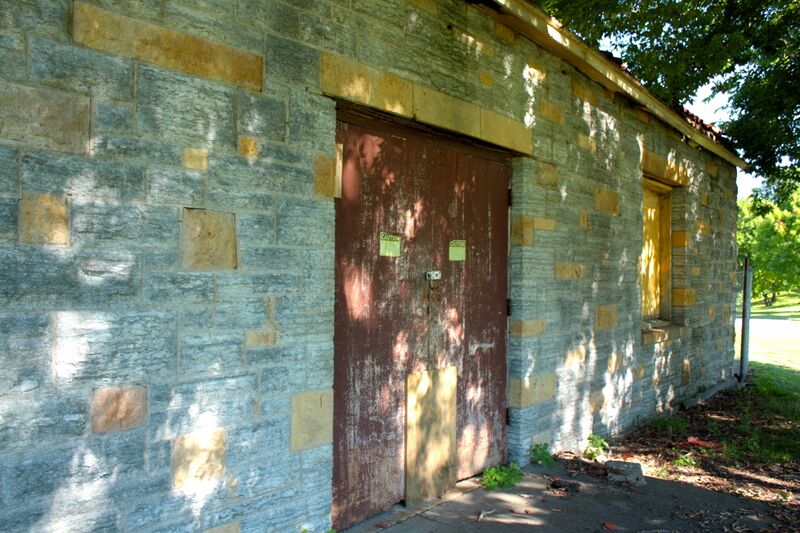 The Parks and Recreation Department in 2013 proposed stabilizing the historic bath house and studying its renovation and reuse. However, neither the 2014 nor 2015 approved Capital Budget and Improvement Program set aside any money for either, meaning the landmark’s deterioration will continue through at least 2015. In that budget, about 80 proposals–fire station expansion, recreation center and playground improvements, street and bridge reconstruction, and many other worthy proposals–vie for the limited dollars. 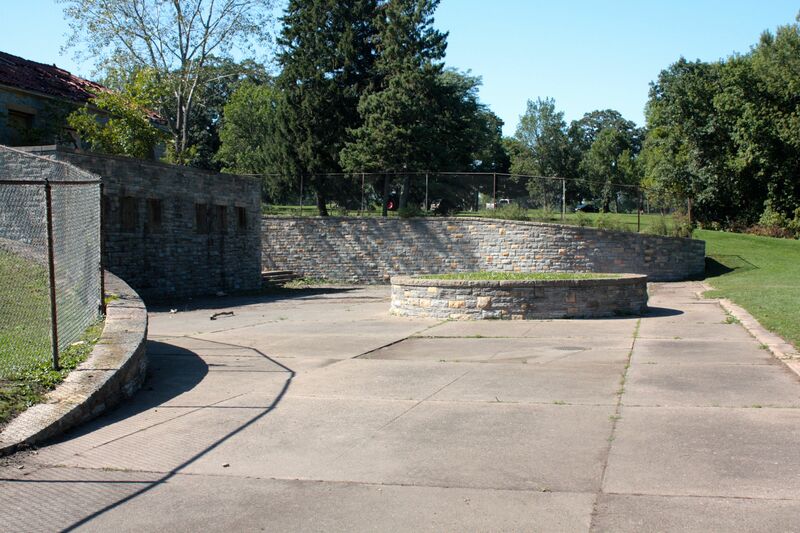 Preservation of historic facilities is important, but whether it’s a higher priority than fire and safety services, park development, or street maintenance and improvement is questionable. 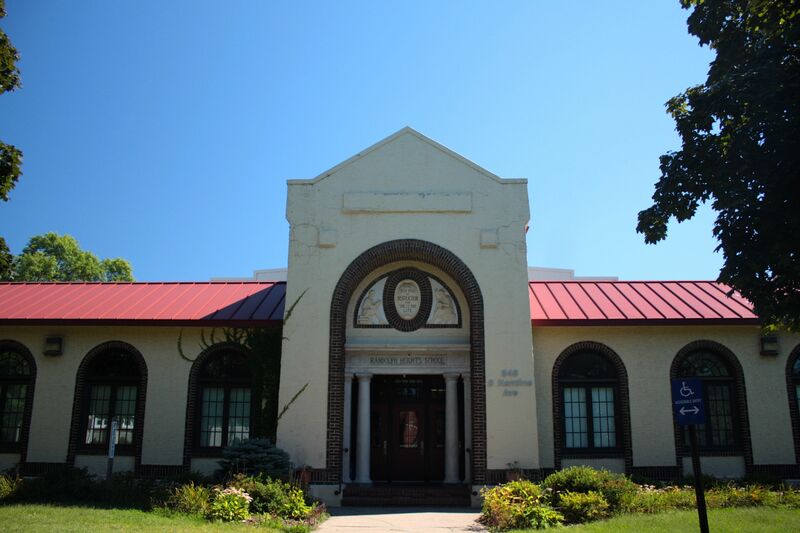 With far too little money for too many important projects, funding decisions will continue to be excruciatingly difficult, undoubtedly resulting in the loss of historic structures.